Melin here, Do to some technical difficulties, our beloved Madison couldn't do today's post. So it is my turn to let you know who are winners are from last week's CWC challenge. Today we announce the winners of challenge #93, Happy Birthday USA. The Top Three Chefs were chosen by the Cooking With Cricut Design Team. Lori, you can "pick up" your top chef button on the left column and proudly display it on your blog. 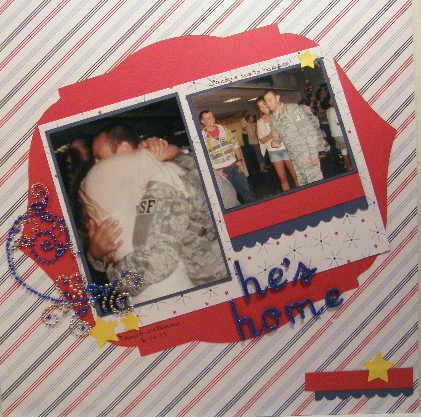 As the winner Lori will receive her choice of digi stamp or cutting file from Papercraftingworld.com. 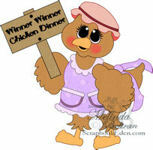 Lori, please contact Madison at FunkyCards @Charter .net (no spaces) within two weeks to claim your prize. Birthdays... Don't forget to play along this week. CWC #94: "I Feel the Love" Project -- birthday decorations and cards for the children and teens at Sheffield Place Homeless Shelter in Kansas City. Please try to include a die cut created from your Cricut cutting machine. Make sure it is a new project that has not been used before. Once again you have until next Tuesday at midnight to post your projects. One winner chosen at random will receive his or her choice of digi stamp or cutting file from Papercraftingworld.com. Oh my gosh, so excited to be the winner!! There are SO many cute cutting files to choose from... this might take me awhile to pick! :) Thanks so much CWC and Paper Crafting World! Oh my goodness. I just was checking the blog and see my page. Thank you so much. I have my thinking cap on for the current challenge. Thanks again.